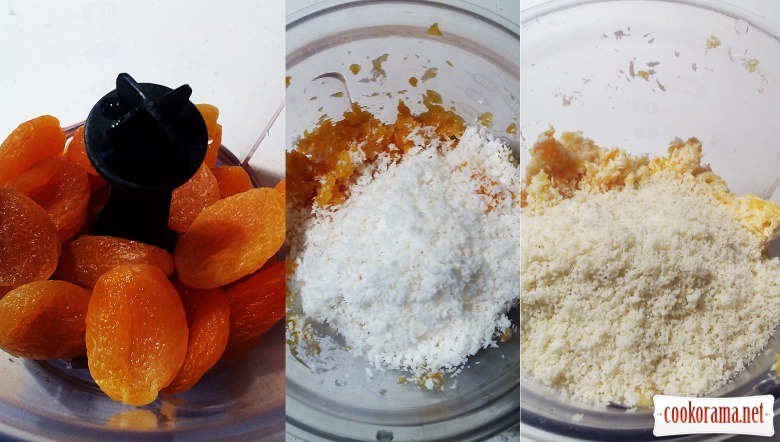 — wash dried apricot, put in blender, grind it. — add water and grind again into puree state. — pour coconut flakes, stir it. — add almond flour (can be replaced by ground cashew nuts). 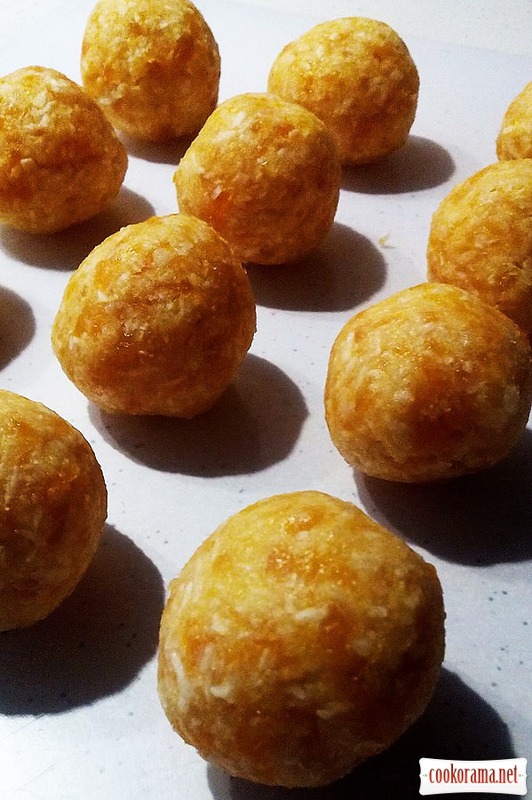 Form little balls from mass. 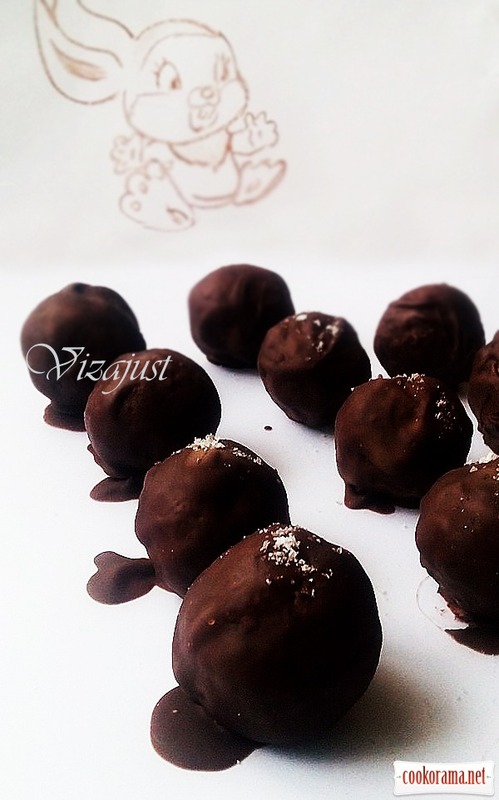 Melt chocolate in steam bath. Generously dip each candy in chocolate. Spread on parchment. Top with sea salt. Put in the fridge, to freeze chocolate. 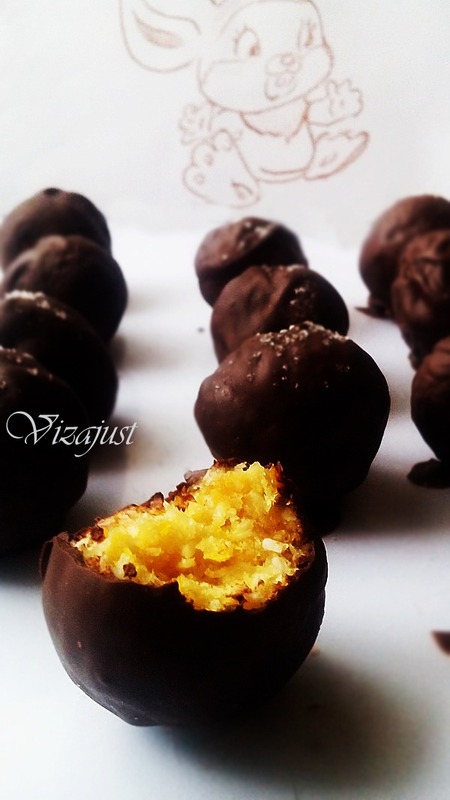 Top of recipe "Coconut-apricot truffles with sea salt"
можу тільки уявити, яка це насолода!